ORANGE (SWEET): Cold processed from the peel of the Orange, this vitamin rich essential oil is a great gift to aromatherapy and body care. 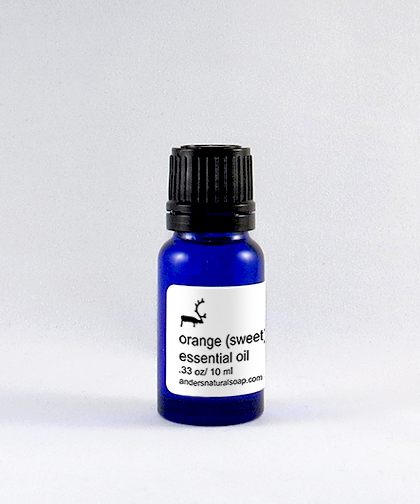 Orange essential oil has been shown to have powerful antioxidant and antimicrobial effects. One study even showed its efficacy in wound healing. It has been used in skin care for years due to its soothing and regenerative effects. In aromatherapy, Orange&apos;s effervescent scent is equally uplifting and relaxing. Studies have shown Orange to be effective in reducing anxiety, stress and depression.